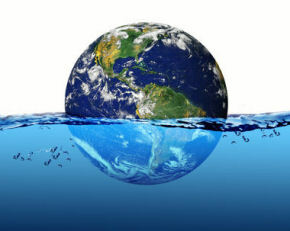 You are here: Home › News › Changing Climate Behind Polar Ice Clouds? 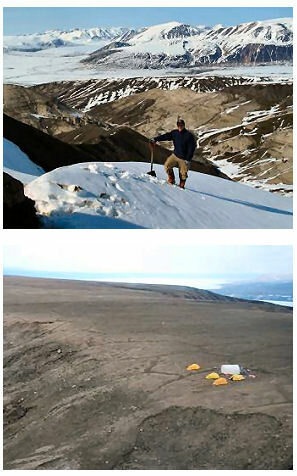 Changing Climate Behind Polar Ice Clouds? The wispy, luminescent clouds that have been shining against the deep blue of the northern sky may be a symptom of the world’s changing climate, say scientists from the University of Alaska Fairbanks (UAF). Known as noctilucent ice clouds, the researchers speculate that the relatively new phenomenon could be caused by a warming of the lower-atmosphere. 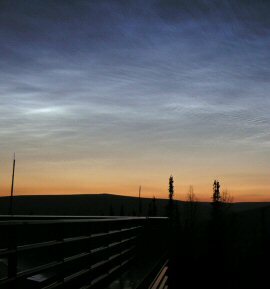 Scientists from several countries gathered at the University of Alaska Fairbanks last weekend to discuss the latest findings on noctilucent clouds and other phenomena of the Earth’s upper atmosphere. Their meeting focused on the mesopause region, an area of the atmosphere 50 miles above Earth’s surface and the site of the coldest atmospheric temperatures. “The reason lies in the movement of air within the atmosphere,” he added. “Solar radiation heats the lower atmosphere, causing a rising cell of air over the summer pole. As the air rises, it cools and that beats out the radiative heating. Those cold temperatures allow the ice clouds to form in the mesopause.” Collins speculates that the clouds may serve as an indicator of climate change because an increase in carbon dioxide, which causes heating in the lower atmosphere, causes cooling in the upper atmosphere.